The Christmas story reminds us of the importance of reading the signs of the times. As women and men of faith, we are called to discern the signs of the times in order to better serve faith and promote justice. The Pastoral Constitution of the Church in the Modern World, Gaudium et Spes (GS), promulgated that the “joys and the hopes, the griefs and the anxieties of the people of this age, especially those who are poor or in any way afflicted...are the joys and the hopes, the griefs and the anxieties of the followers of Christ” (GS 1). Our joys, hopes, griefs, and anxieties are signs of our times. We read the signs of the times by paying attention to what echoes in our hearts. We read them by identifying historical phenomena or human aspirations to discern how God is present in them, and how they speak of the meaning of life and our vocation to help building the Kingdom of God. We develop the sensibility to read these signs in prayer, in conversation, and in our engagement with culture. We are called to pay attention to human events, experiences, and aspirations, in order to discern how God is present in them. The sort of events, experiences, and aspirations we are called to read are the longings of the human hearts, the needs and challenges of the human race, and our yearnings for peace and justice. In paying attention to these signs, we discover God's desire for our broken world. Discernment leads us to a better understanding of our mission on earth, of our Christian vocation. As we read the signs of the times, we discover ways to practice our baptismal promises, and to live the Eucharist. This reading happens in the context of our relationship with the poor, in our service of faith, in our promotion of justice, in our appreciation of beauty, and our dialogue with culture and religion. As we recognize the needs and challenges of the human heart, we encounter Christ. 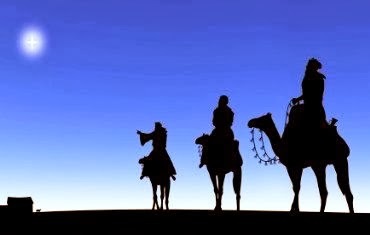 Like the Magi, we begin our discernment of the signs of the time by paying attention to our own aspirations, and recognizing our need and our desire for Christ. We notice our longings, for they tell us a brilliant story. Our human yearnings - our all-too-human hopes and fears - tell us much about God and about ourselves. Our need for company, encouragement, and a welcoming smile reveal our longing for the face of God. As we recognize our longings and yearnings, we find the path that leads us to a personal and communal encounter with the fulfillment of our human aspirations, Jesus Christ. It is on the way that we acquire spiritual freedom, and we are renewed in our commitment to the enterprise of God's Kingdom. Reading the signs of the times is an exercise in discernment: Notice your longings, and give thanks to God for them. Pay attention to the needs and the challenges of the human race, and accept God's invitation to labour with him in the world. Heed your yearnings for justice and peace, and act as a channel of healing for God's people. God calls us each day to reflect deeply on the events and happenings of our time, and to respond to them with a discerning heart, an open mind, and the courage to follow the road that leads us to greater intimacy with the Heart of Jesus. You challenge me to be aware of own longings for God. I found myself paying special attention in my examen of consciousness last night. I noticed my yearnings, and realized how those relate to the general needs of the world. I felt a bit more united to all peoples in our needy planet. Thank you for sharing.